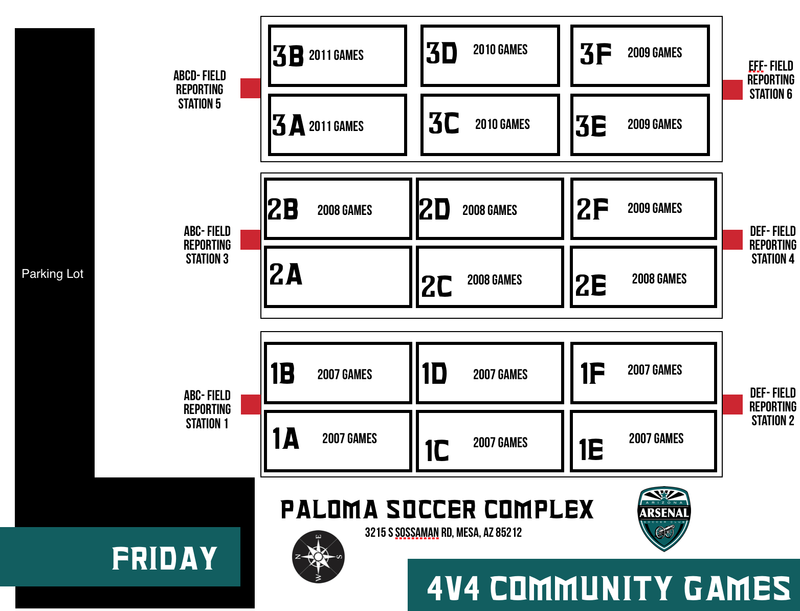 Arizona Arsenal Soccer Club will continue with their annual 4v4 Community Games with the entire event being done with players from Arizona Arsenal Soccer Club. 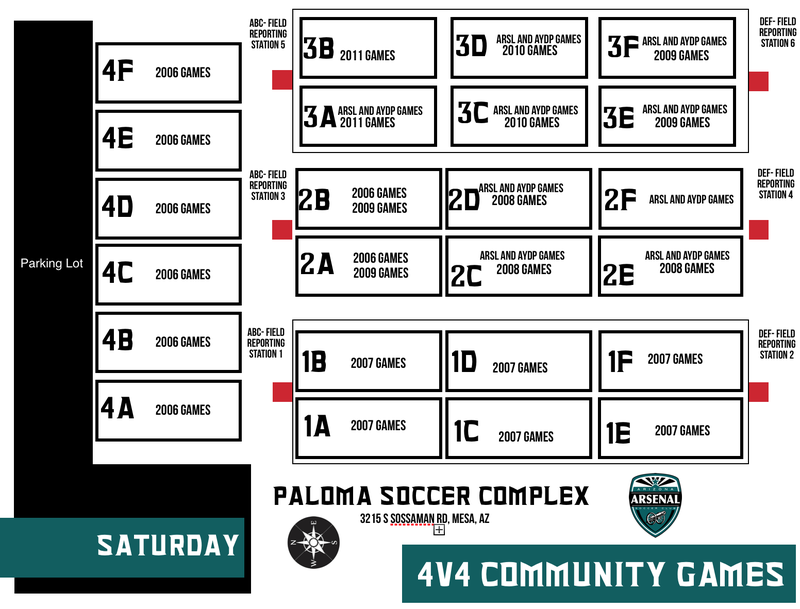 From the players, the coaches, the refs and the scorekeepers the entire event will be run within! Please see the below for the following information- Team Placement, Coaching Assignments, Ref Assignments, Score Keepers, and Field Layout.